Did you know that random, or unexplained, sinus pressure or blocked sinuses can be an indication of an imbalance within one’s masculine and feminine energy? There is clear evidence that a sift is happening within the balance of, what was, an overly dominant masculine world. The feminine certainly seems to be rising. So, it is hardly surprising that we are seeing many people suffering with nasal problems such as a blocked or runny nose, sinus headaches and nasal pressure (even out of the hay fever season). Whilst studying in India for my yoga teaching, we learnt how pranayama (ancient breathing techniques) rebalances the physical and energetic bodies, which includes the chakras and nadis. And how by regularly practise one could balance their masculine and feminine energy. As well as the physical body, we have an energy body known as the pranic sheath. Within our pranic sheath there are over 72,000 spiritual currents or energy nerves called the nadis which correlate with the nerves in the physical body (in acupuncture they are known as meridians). To get an idea of what the nadis look like visualise a huge plate of cooked spaghetti, with strands running in and out and overlapping. A point where many nadis accumulate is known as a chakra. It is said, we have 14 main nadis, of which I’m going to cover 2: the Ida nadi and the Pingala nadi. The Ida nadi governs the feminine, left side of the body, which in turn activates the right (visual, intuitive and creative) side of the brain. The Pingala nadi governs the masculine, right side of the body and activates the left (logical) side of the brain. Signs you have a poor functioning Ida nadi (femine energy) are: extreme coldness, depression, low mental energy, sluggish digestion, and a blocked left nostril. Signs of a poor functioning Pingala nadi (masculine energy): excessive body heat, quick temper, itching body, dry skin and throat, excessive appetite, excessive physical or sexual energy, blocked right nostril. When the left nostril is dominant (more airflow passing through nostril) it means the right side of the brain is more active and when the right nostril is dominant, the left side of the brain is more active. The dominance of each nostril should change throughout the day. Now, here is where things get confusing: Although the left hemisphere of the brain is masculine the left side of the body is feminine, and the right hemisphere of the brain is feminine but the right side of the body is masculine. So when you are classed as being left-brained the right side of your body is usually dominant and vice versa… Phew! Explaining that just gave me brain-ache! You may have heard the saying that when someone is known to be left-brained (masculine) they tend to be logical, driven, analytical and fast-paced. The left side of the brain is associated with aggression, physical strength, control and ego. And with the right brain being associated with creativity, inner-strength and intuition, those who are right-brained (feminine) tend to be are artsy, sensitive, nurturing and easy-going. Empaths and Highly Sensitive People tend to be right-brained. Block your right nostril with your thumb and breath through the left, now swap over and block the the left nostril and breath through the right. Which side was the dominant? If your left nostril was dominant it means the right hemisphere of your brain is more active. If it was the right nostril, that was dominant, then your left brain is more active. Dependant on which side is active/dominant will depend on how well you fare in certain tasks. If your right nostril is dominant it’s a good time to do physically challenging activities, when the left nostril is activated it’s a good time to be creative, meditate or reflective. If you find your nostrils are often blocked or painful, without any apparent cause (i.e. cold, allergies or other irritants), it could be a sign that your masculine and feminine energy is off-balance or that you are reacting to the ‘shifting energy of the world’. It might also indicate that you have problems within your energy body (read more here to see if your energy body is weak or damaged). As an Empath, it is interesting to observe how the sinuses are affected by those around you. Because Empaths are often overly-affected by other people’s energy it can also affect their masculine and feminine energies. Notice what happens to your sinuses when around certain people, especially those who are overly masculine or feminine. If you have an imbalance within your masculine and feminine energy you may also be suffering with a damaged energy field and leaky aura. Learn more about this condition here. If this is the case, you will always struggle to spend time around others, until you work to repair it. 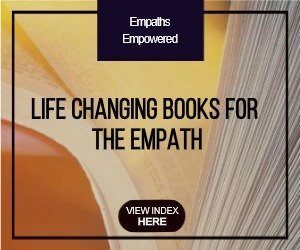 Hope this post may help you on your Empath journey. Perhaps you are doubting your creativity and/or your ability to heal and this is how it is being manifested by your higher self? Reblogged this on mlcmjk1's Blog. I’ve always felt an energy around me since I could remember, and it used to drive me crazy because sometimes I would feel like the energy was on the right too much and I would try to move an invisible flowing thing with my hand, but then when I would manage, it would be too much on the left and I couldn’t split it into half and distribute it evenly on each sides (which is something I tried to do a lot as a child). And it was the stupidest things; I would be sitting in the middle of my bed and notice the sheets were on my right, and it would remind me of the energy and I would start feeling it again. I had spoken to my parents about this and both of them weren’t strictly against… how do I say it? stuff like this (I’m only starting to learn about this now) but neither of them understood me anyway because neither of them felt it. No one I’ve ever met has felt it. And I’ve actually spoken to a doctor too, guess what kind of reaction I got. I’m lucky I didn’t go to a therapist about it. It used to be a huge part of my life and it would (repeating) drive me crazy but as years went by it started to not be a huge problem because I got more and more distracted as I grew up. When I don’t remember I can feel it, I don’t feel it but when I do(like while typing this comment right now) it still annoys me and throughout my life, NO ONE could give me an explanation so this is a big deal for me. Thank you for making this blog post (even though it’s been 4 years). 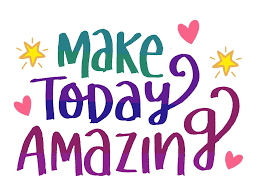 And if you’ve read this far then have a good day! I cannot believe I am reading this, because I have been trying to find someone who could, if not explain, tell me that they have experienced the same or at least something similar to what I have been experiencing recently. I have been meditating for 2-3 years now and I’ve been more and more apprehensive about the flow of energy around me. But the last year or so, I’ve been starting to feel my left side of the body and everything it is experiencing (through contact with the mundane world, just like you described sitting on the bed and feeling the sheets more with one side of the body) much more than my right. Whenever I meditate nowdays, I cannot imagine a line that goes through the middle of my body, as if to divide your body mentally in two, I sense my left side of body is shrouding, overtaking or spilling onto the right side. It is as if my pranic sheath is slanted to the left. It has been driving me crazy too, but lately I’ve been trying to accept it (still comes hard sometimes). Coincidentally enough (but I don’t believe in coincidences:), just before reading this blog I came across an article that is talking about neuromeditation exercises (https://www.shaktitechnology.com/neuromed.htm). The last exercise, called The Divided Body, talks about imagining dividing your body in twos. If feel one part of the body more, or more relaxed than the other, you “Imagine that your breath has the power to pump the texture of the side that feels best to the other side. As you exhale, imagine that your breath is pushing the feeling of relaxation from the more relaxed side into the the less relaxed side.” But you can read the whole article, it’s quite interesting. Who knows, it might work with little practice. I will definitely try it. And start doing alternate nostril breathing more often, because it did occasionally elevate the inability to be able to feel my halves evenly. Thank you! I’ve had issues with sinuses my whole life, particularly on right side. Recently, I’ve had severe hip, abdominal, and leg pain on right side. My friend does Reiki and worked on me. Long story short, she opened me up to balancing the masculine and feminine. Tonight, I started a new yoga routine and my balance on the left side is terrible. I know that I’m stronger on my right side, but the flexibility and balance are quite different. I looked up information and it brought me here. Here’s where I need guidance: I did the nasal meditation you described. My right nasal passage is more blocked (and right ear for over a month, after antibiotics), so my right hemisphere should receive more oxygen and my left side of body should be more active. Is this correct? is this why I have problems with my right side? But if this is true, why am I having balance issues with the left side of my body? Now I’m befuddled! Sorry, here is it is said that left hemisphere control right side of body and right one left side of body. Sorry, I’ve only just seen this message because someone else commented on it. When it comes to the body and pain, things can get very complicated. We can feel pain in the right side of the body when the problem is on the left and vice versa. For example: there may be a problem with your left in-step, of your foot, and you may feel the pain and imbalance in your right hip or shoulder. For this reason it can be difficult to discern where the imbalance is. From day to day our masculine and feminine energy can shift and change. If you have too much of one or the other you will normally see it in your own behaviour. Being overly emotional, weepy or touchy can be a sign of too much feminine energy(especially if it is out of character) and being overly aggressive, controlling or logical can be too much masculine. The Nadi Shodhana breathing technique above is great for bringing about masculine/feminine balance. It is also brilliant for stilling the mind, bringing clarity of thought and focus, and is excellent to do if you suffer insomnia or find your mind jumps into action when you are trying to fall asleep.